Normally when I think of Las Vegas, I don’t automatically think “eco friendly vacation destination”. I do think “adults only getaway” or “bachelor(ette) weekend”. Whenever you travel somewhere, odds are you are going to be participating in non-eco friendly activities. However, the trick is to also check out what area attractions are more eco friendly and support those as well. In the Las Vegas area, there’s the Hoover Dam. At less than an hour’s drive away, it would be a great place to visit and learn about how much electricity is produced there on a daily basis. How was it built? What does it take for all that hydroelectric power to be produced? You can also visit the Las Vegas Springs Preserve, a 180 acre attraction that has interactive exhibits which explore sustainable solutions to the current challenges facing Las Vegas and the surrounding area. How much can you save?! Las Vegas is not the most eco-friendly place to be. It’s the desert, and there are millions of people who take jets there every year to drink overpriced bottled water and many of them play on lush green golf courses. However, if you’re going to go, you may as well enjoy your time, and if you get a chance, check out some of the above attractions. 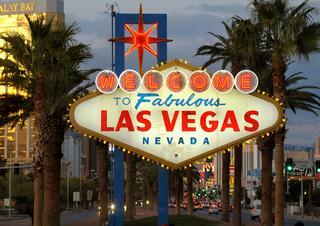 You’ll have learned something and seen Las Vegas from some kind of eco-friendly perspective.